Bristow is an unincorporated community. This town is located in Prince William County, a community within Northern Virginia; about thirty miles from the Washington, D.C. Metropolitan Area. However, this may not be the case for long. Bristow has been experiencing extremely rapid population growth, most likely due to the skyrocketing prices of home ownership in areas that are closer to D.C. In 2014, Bristow had a postal area population of 29,346. This is a 287% increase since 2000. Bristow mainly consists of upper-middle class, residential managed communities. There are dozens of such communities in the area, primarily offering single-family housing units. A few of these include Victory Lakes, Lanier Farms, Saybrooke, and Sheffield Manor. Most individuals who live in these homes do not work in the area, but commute to D.C. and the surrounding areas. There has been a major push to continue developing the area with both residential and commercial businesses since 2000, resulting in today’s high growth levels for the community. Bristow Manor Golf Club, for example, has been voted as one of the best places to play golf by Golf Digest. 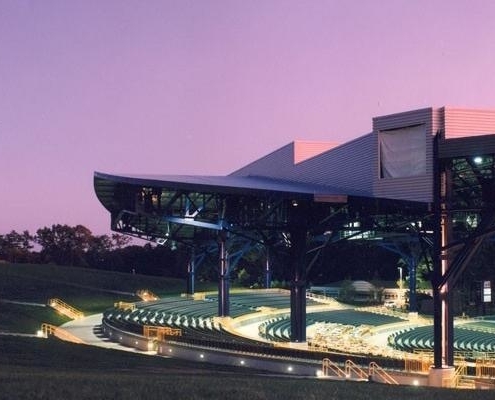 Other entertainment options in Bristow include the Jiffy Lube Live Amphitheater, which has seating for over 25,000 individuals, and regularly hosts big-name musical acts such as Depeche Mode, Coldplay, Toby Keith, and Jimmy Buffett. Bristow is located adjacent to Manassas, making the nearest airport the Manassas Regional Airport. The nearest international airport is Washington Dulles International Airport. For ground transportation, the area is primarily served by road, though Bristow does have access to the Virginia Express Railway (VRE) through the Broad Run stop. Train service runs through Fairfax County and Washington, D.C. proper. Major roads near the area include Virginia Routes 28, 234, and 215; allowing for easy transportation into neighboring communities, as well as commuting into DC and other major areas of Northern Virginia. As an unincorporated community and part of Prince William County, Bristow lacks its own formalized school system. Instead, it is served by Prince William County Public Schools, which serves a total of more than 80,000 students. A few of the PWCS schools located near Bristow include Cedar Point Elementary School, Bristow Run Elementary School, and E.H. Marsteller Middle School. To learn more about living in Bristow, you can consult these following websites and publications.